He has a blog called 8 and 2. 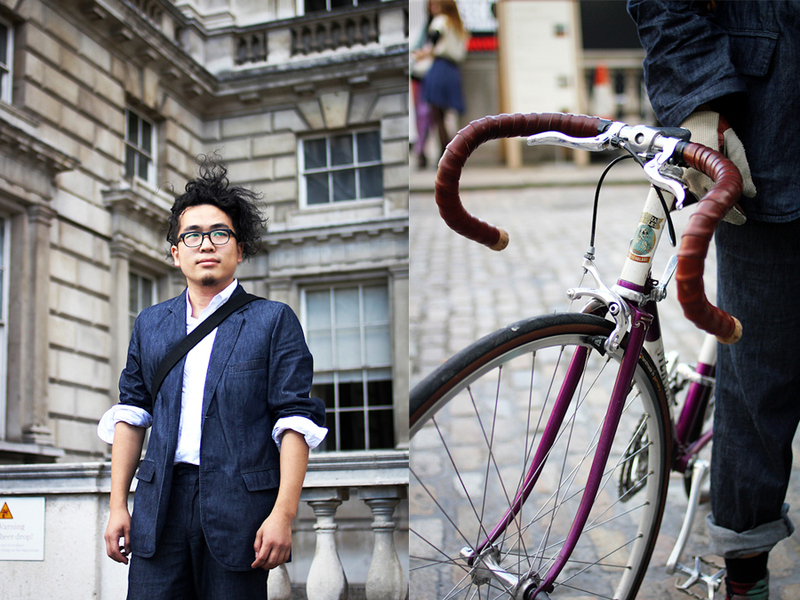 Yu was one of my favourite people to spot during London Fashion Week. He has awesome style and a pretty sweet bike. I love Yu's wild hair and sophisticated laid back style. He always looked well put together but just a little bit disheveled. It's the sort of unkemptness you can only achieve after cycling through a big city and somehow makes Yu's look completely his own. Never thought a denim suit could look so good - love it with the rolled up sleeves and trousers. It feels crisp and minimal yet functional and durable. My favourite part is the one sock that's just peeking out.